Below is an email from the ATSNJ that I feel needs to be posted to create more dialogue. New Jersey, the ATSNJ and Eric Nussbaum have done a fine job of leading the way in this issue at the high school level. Thanks for the note. From the Athletic Trainers Society of NJ, completed in November. NJ was one of the first states to formally pass a concussion law in December of 2010. Our concussion law accomplished several things. a) directed our department of Education to develop a model concussion policy and instructed ALL districts to implement a formal concussion policy by September 1, 2011. b) Mandated concussion education for all licensed athletic trainers in the state. This makes us the only healthcare profession with mandated continuing education in concussion care, making athletic trainers concussion “experts”. We had heard that many schools were having some issues formulating/implementing a formal program for their districts. There were several questions that were not well-defined in the law or model policy put out by the DOE. Key terms like: “trained in the management of concussion”, “asymptomatic”, “academic accommodations”, specific education and RTP guidelines were all issues that districts needed to consider for their policies. We conducted the survey to: a) see how many schools actually were implementing a board approved policy. b) find out if terms were being defined c) find out about consistent issues w/ policies d) determine what source of information schools were using to develop their programs d) determine who was responsible for education, notification, coordination and implementation of actual policy. 9% of respondents do not have a board approved concussion policy. 27% of schools adopted a generic policy. 84% of districts do not define “trained in the management of concussions” in their concussion policy. 51% of districts do not define “asymptomatic” in their concussion policy. 60% of districts do not define specific academic accommodations in their concussion policy. We also developed a policy check list that schools and parents could utilize to evaluate each schools policy. We have posted suggestions for definitions and improving policies on our website, HERE. We realize that development of a good working policy may take time and a little tweaking. The ATSNJ wants to be a resource for parents and schools as they develop their individualized policies. Feedback is encouraged by commenting below. When most people think about concussions they only allow one sport to enter their mind: football. As we have documented numerous times before, football is just one of the many athletic activities that put athletes at risk for sustaining a concussion. Much of the general public thinks that the male athletes are the only ones suffering concussions, though that is not the case whatsoever; females are just as susceptible. According to Dr. Comstock, of the Ohio State University College of Medicine, girls suffer concussions at a higher rate than males. One specific activity has been shown to have a significant rate of injury in females (and what most people will be surprised to learn) is cheerleading. The question as to whether cheerleading qualifies to be recognized as a sport continues to be debated, but from my perspective (and what others should consider) it does not matter. The athletes involved in cheerleading should be provided the same health care that other athletes are provided with; they should be treated the same. There is no doubt in my mind that these girls (and boys) perform very intricate techniques and are at serious risk of injury. New Jersey has recently passed a law requiring schools to implement a head injury safety training program which must be completed by the school physician, an athletic trainer, and all of the coaches involved. The issue is that cheerleading is not considered a sport by NJSIAA or the NFHS. For this reason, cheerleading coaches are not required to complete this training program. Schools must make sure that these coaches are included, for it is important for them to recognize the dangers and risks of concussions with regards to their individual sport. NorthJersey.com posted this article on Wednesday of last week. 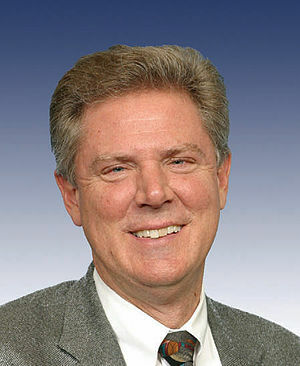 U.S. Rep. Frank Pallone Jr., chair of the health subcommittee of the House Energy and Commerce Committee held a field meeting in Newark, NJ about protecting school-aged kids from lasting effects of concussions. Among those testifying were; a former National Football League offensive tackle, two doctors, a high-school athletic trainer and an educator. But as the story points out the most eloquent was from a 17-year-old former high school athlete. Click on the link above for further information.